Michael Phelps, Ryan Lockte, Conor Dwyer, and Townley Haas win the Rio Olympics 4x 200 Freestyle Relay and score the Gold Medal. This capped an amazing night for Phelps, who early earned his 20th Gold Medal winning the 200m Freestyle. Phelps is now in Carl Lewis territory. 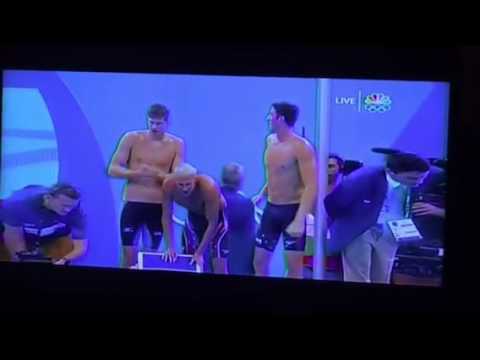 Be the first to comment on "Michael Phelps, Ryan Lockte USA Men’s 4x 200m Freestyle Relay Team Wins Rio Olympics Gold Medal"